Empathy noun The ability to understand/feel what someone else is experiencing from their own frame of reference, therefore, the ability to mentally place yourself in another person’s position. It is often said to walk a mile in someone else’s shoes before you judge them. This is not always easy to do, as it requires empathy. Not sympathy, but empathy. What’s the difference? Sympathy is simply when you feel bad about someone else’s misfortune, while empathy allows you to place yourself in that person’s mind, so to speak. Empathising means exactly understanding what a person is going through and how their experiences are influencing their behaviours. Empathy is a wonderful thing – simply because it helps us to understand those around us, therefore strengthening relationships. For example, fully understanding why someone does something we don’t approve of can help us not to become quite as angry with them, perhaps even making us more willing to help the person with the issue they are going through instead of lashing out at them. Now just imagine what a difference a bit of empathy can make in our relationships with our dogs. Empathy comes naturally to some, while others have to put some effort into it. The latter will be true when trying to understand our dogs – they are after all a different species. Let’s combine our imaginations with what science tells us. Start by imagining yourself growing smaller, to the size of your dog. You are now on all fours as well, no hands. Now take a look at your surroundings. It looks quite different than what you are used to, and you are mostly seeing shades of blue, yellow and grey. Also, it’s a bit easier to see things on the side of you than seeing things right in front of you. This is because dogs have better peripheral vision than binocular vision. After the commotion has passed, you notice that you are smelling something. Actually, you are smelling a whole lot of somethings. You are becoming excited, because you realise that your nose is giving you more information about your world than you could ever dream of as a human. You run outside and are overwhelmed with excitement! You smell everything! Every blade of grass has its own story and it’s amazing! You think about going for a walk – even more interesting things to smell, this is the best thing ever! Just by using your nose, your whole world seems to make a bit more sense. It makes you feel happy. Why? Because people only have five million scent receptors in their noses. Dogs have, depending on breed, between 100 and 300 million. Fun fact: Ever see a dog gobble down a treat without even chewing or enjoying it? That’s because most of the enjoyment of eating something yummy lies in its smell! Dogs need to chew, even when they are not puppies anymore. The inside of the mouth is connected to the emotional centre of the brain, making chewing a wonderful way to destress. Upon waking up you see the person again. Once again you are overwhelmed with a strange feeling. It’s coming from… your heart? You feel absolute adoration. The person is the centre of your world, no matter what. This is not a feeling you ever had as a human. You will do anything for this person. It is a love so pure that you can’t put it into words, but it is right there in your insides. Why? Because you are a dog. Although the idea of a cute, cuddly pup wearing a muzzle may sound and look ridiculous, a muzzle really can be a dog’s best friend! ​For many dogs, the highlight of their day is a game of fetch with the ball. Who can resist? You’d have to have a heart like a stone to say no. Or, like me, to know too much. Parents: “She is so lovely! But we don’t really like the shape of her ears. 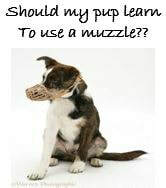 Can we pop in next week for a quick surgery to sort that out?” WHY is this done to our dogs then?